This is a small ahu located within the defined boundary of “inland” sites (more than 150 m inland). It is on private land and not accessible to the public. 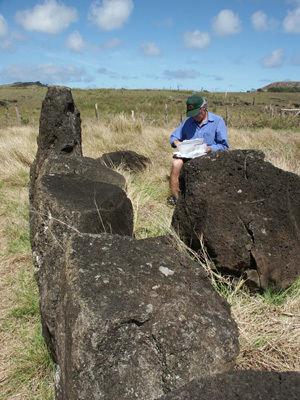 One large moai is present on the site. The platform itself is perfunctory, with only a single course of upright stones forming the rear wall.